Just let us know what text you want on your personalized tags. 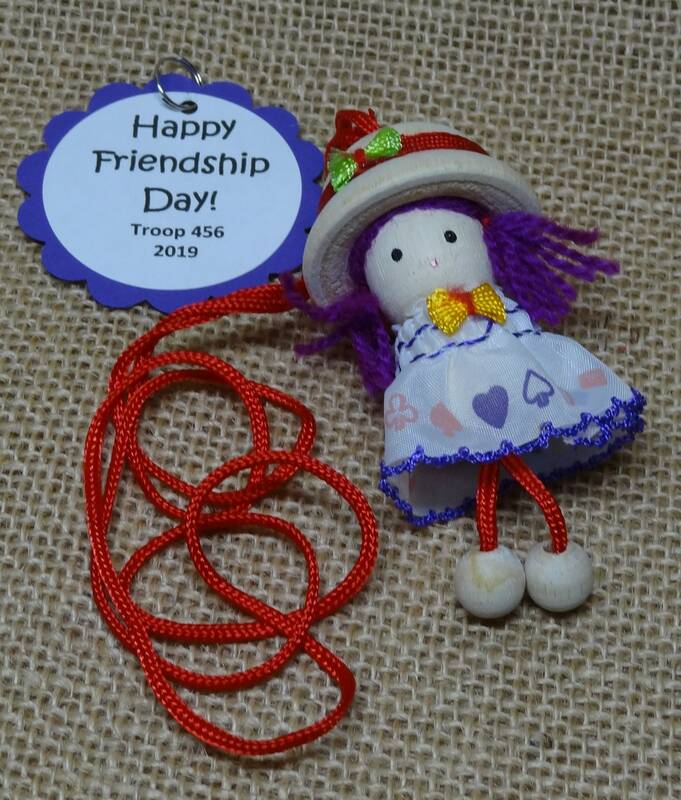 For Sale is a set of Ten (10) Friendship Doll Necklaces Scout SWAPs that are READY TO TRADE. These colorful necklaces make perfect SWAPs for little scouts. The colors of the clothing and accessories on each doll varies. These necklace SWAPs come with free personalized tags. Just send us a message with you desired text, and we'll take care of the rest!